Finished the helmet. 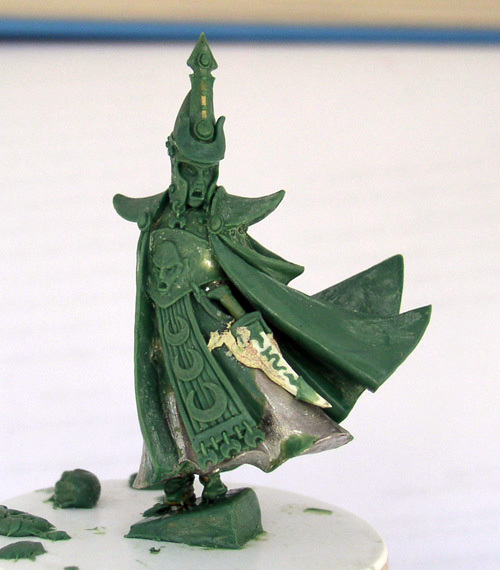 I thought that I would try and visualize a sorcerer's crown that slides over a helmet rather than a helmet and crown in one as on the original. 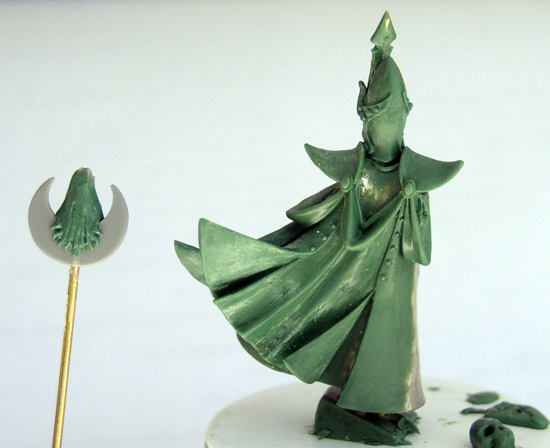 Also, the beginning of the moonstaff in a more slim and clear-cut design than on the latest version of Teclis.